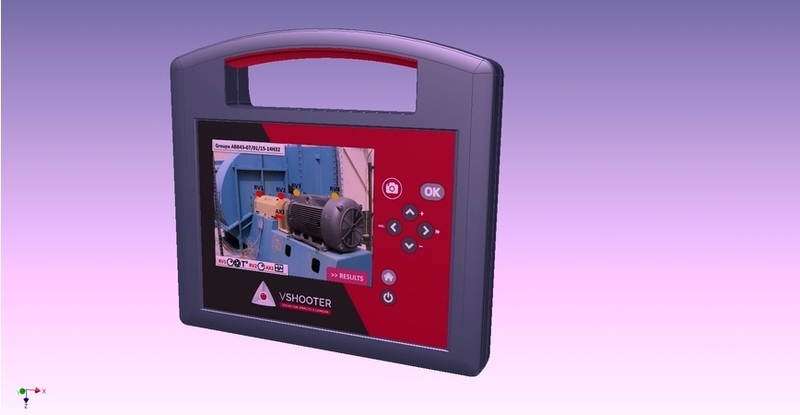 THE LEAKSHOOTER / LKS1000 v3+ IS THE FIRST CAMERA MADE TO DETECT compressed air, oxygen, azote, steam… leaks / Electrical partial discharges, corona effects, electrical tracking / Vacuum systems leaks / Seal integrity, tightness test ( with optional ultrasonic transmitter). 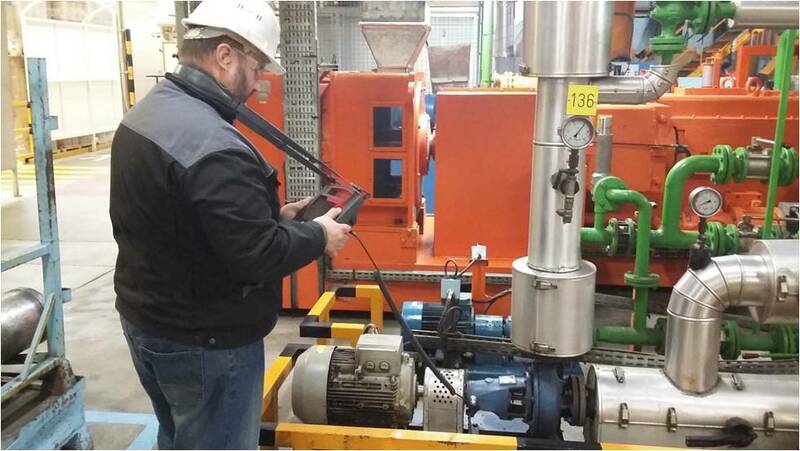 The LKS1000 v3+ ultrasonic leak Camera detector equipment is used for many general applications within industrial plants. Logis-Tech have just launched the leakshooter to the UK. 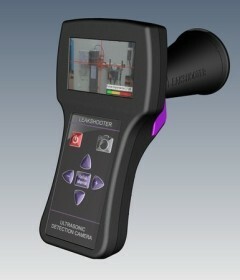 The Leakshooter LKS 1000 is the first camera to detect, measure and photograph air and vacuum leaks. 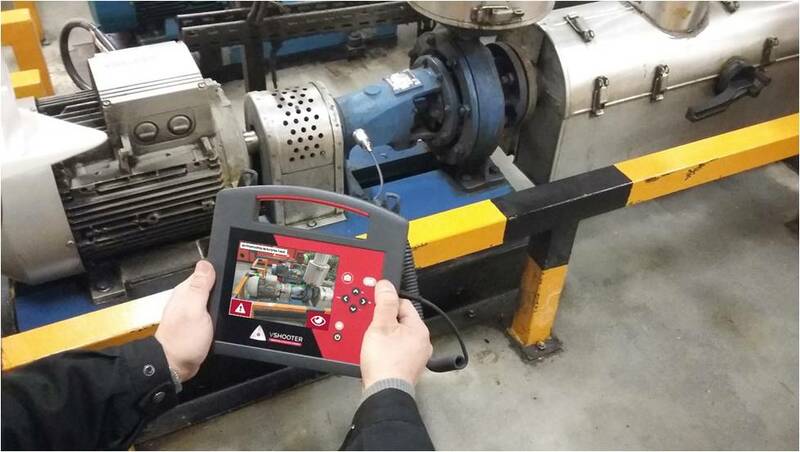 It provides the dual possibility of ultrasonic leak detection with a visible image. This enables users, for the first time, to see on a large LCD color screen the precise location of air and vacuum leaks. Near a leak, a dynamic target will appear, and change in size and color from yellow to red depending on the severity of the problem. At the bottom of the screen, the continuous measurement of dB RMS and MAX is displayed on a colour bar graph. Once facing a leak it is then possible to take a picture of the precise leak location. The Leakshooter LKS 1000 can store up to 1000 pictures in JPEG format. All pictures show date, time, dB level and can be numbered manually. The pictures can be transferred to a PC with the LEAKVIEWER software. While operating the camera, the possibility to listen to the leak noise with the headphones is still possible. The operator is then for the first time able to see what he’s listening to. The Leakshooter LKS 1000 detects a leak of 0.1 mm with 3 bars pressure at 20 meters. Adjustable gain from 50 db to 110 db for use in any kind of surroundings. Possibility to take a picture of the leak location, JPEG format, and transfert ir to PC into the LEAKVIEWER report software. Each scene picture with date, time and number, dB RMS and Max values are continuously measured and displayed on a color and digital bargraph. Compressed air is an expensive energy. 20% to 40% is lost in leaks. Deciding to arrest leaks in the compressed air system to minimize electrical energy loss is a wise decision. Repairing leaks are often low cost options, such as tightening of joints to close gaps, replacement of pipelines, and replacing connection valves and rubber seats. The LEAKSHOOTER LKS 1000 revolutionizes the compressed air and vacuum leak detection. No need anymore To spend hours wearing your headset listening to noisy leaks. With the LEAKSHOOTER LKS 1000 you’ll work Like in infrared thermography, just scanning your compressed air system. Near a leak a dynamic target will automaticaly appear on the display. The dynamic target will change in size and colour from yellow to red the closer you come to the leak. Once on the leak spot an X will appear in the red square target. You can then take a picture of the leak location, in JPEG format, and save it. Each picture is numbered and indicates the date, time and precise dB RMS and MAX. Picture scan be transfered on a PC into the LEAKVIEWER picture report, a software supplied for free with each LEAKSHOOTER LKS 1000. At the screen bottom the continuous measurment of the dB RMS and MAX is displayed on a colour bargraph. Application Note 1 – Vacuum Leaks in InFusion Processes. Application Note 2 – Compressed Process Gas Leaks. Application Note 3 – Searching for Capacitive Electrical. Application Note 4 – Fault Detection on Steam Trap and Valves. Application Note 5 – Do you know the cost of Compressed Air leaks.